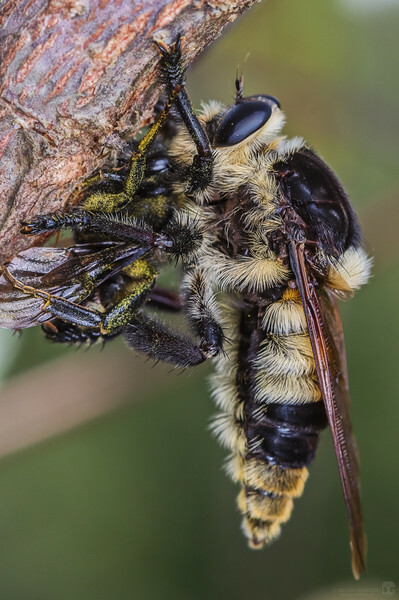 This massive robberfly appeared to be carrying a bumblebee (or carpenter bee?). This thing had to be around 4cm long! I believe this is a Florida bee killer (Mallophora bomboides). They prey on bees and wasps by snatching them in mid-flight or while pollinating.